The Solace steamer is a brand new model from C-Skins for 2016, with a great femine cut and stylish colourways. 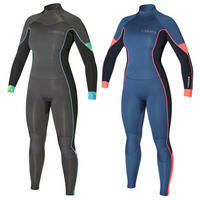 Featuring top-end tech from C-Skins impressive repertoire from Ultra Flex neoprene to Seamless paddle zones. The 'Super Seal Collar' is a smooth, comfortable collar designed to match the contours of the neck and provide a great seal and feel. 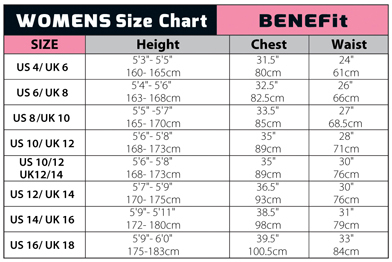 C-Flex Ultra Stretch' - Flexible, lightweight, double lined neoprene that has excellent multidirectional stretch. Super Seal O-Ring Collar - Smooth, comfortable collar designed to match the contours of the neck and provide a great seal and feel. C-Flex Hot Tape strategic reinforcement - Razor thin 0.5mm C-Flex Ultra Stretch neoprene tape is used to enhance the waterproofing and strength of the internal seams. 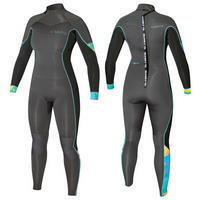 Ultra Stretch C-Flex neoprene - Flexible, lightweight double lined neoprene that has excellent mutlidirectional stretch. Anti-Freeze Poly Pro chest and back lining - Lightweight woven poly pro that helps to trap heat and insulate against the freezing conditions. Glued and blindstitched seam construction. 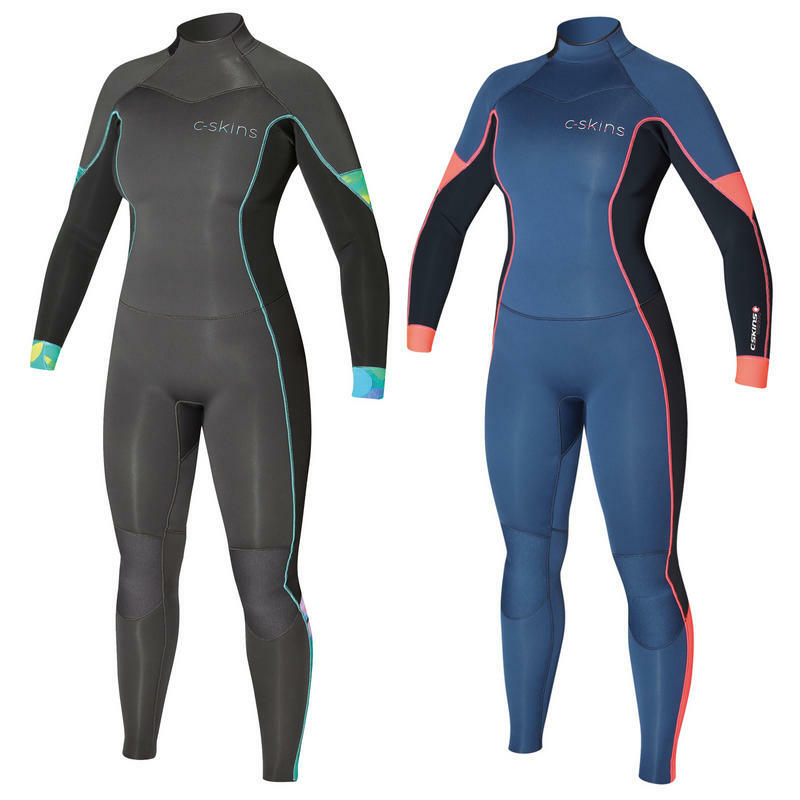 True Thickness - Instead of measuring the combined thickness of the neoprene and lining C-Skins measure the thickness of the neoprene, ensuring your suit has a true thickness. DuraFlx knee pads - specifically tailored abrasion resistant knee panels for maximum comfort and durability in a high impact wear area. 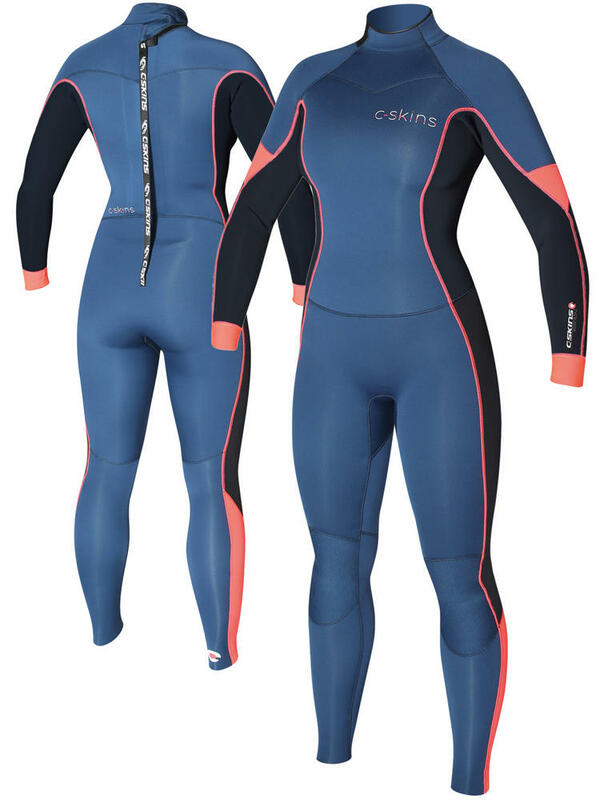 The Solace Steamer is a brand new model from C-Skins for 2016, featuring a new femine cut and engineered using Ultra Stretch C-Flex neoprene. 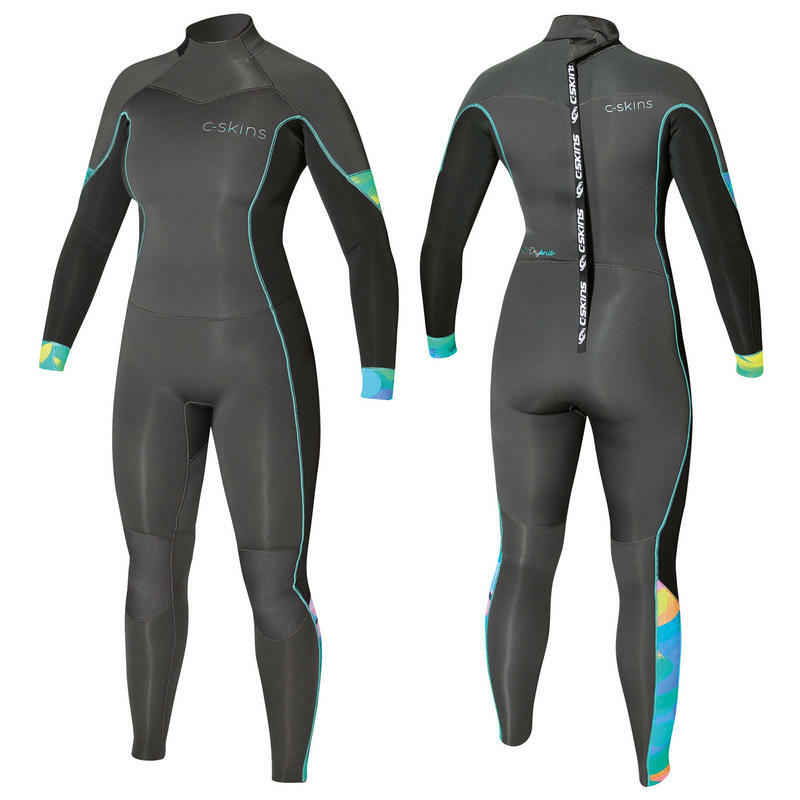 The Solace features top-end technologies such the C-Skins Exclusive Anti-Freeze thermal lining and 100% glues and blindstitched seam construction make this suit like no other at this price level!